What do you usually do on Saturday mornings? I either read a book or play a video game. 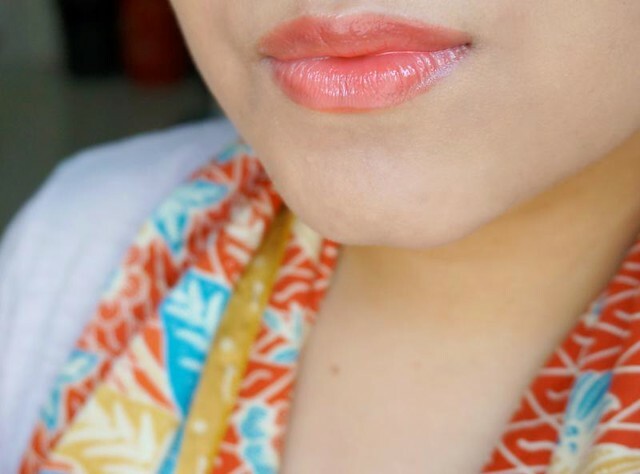 I try not to do anything work-related or even blog-related on weekends, but I want to write about these glosses before my themed week officially ends. ^_^ I think they're quite good! 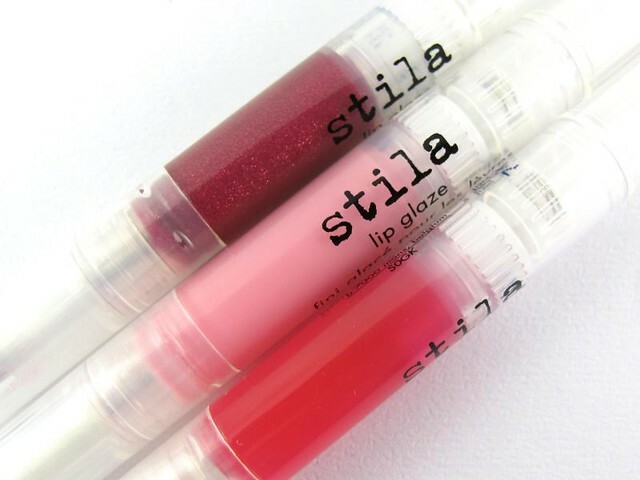 This Stila Lip Glaze Set (P1,750) was part of the brand's Holiday 2013 Collection. It was such an awesome deal, that all told each lip gloss just cost P195. I'm not sure if this is still available, but I would wager that it is since limited ed holiday stuff are usually on counters until late January. I gave one set as a gift and kept the other two lol. Here's a quick rundown of the pros and cons! Surprisingly pigmented, with a super smooth glossy finish. I get medium coverage with most of the shades I have here. It's not crazy opaque but the jelly effect is quite nice. The gloss isn't drying. 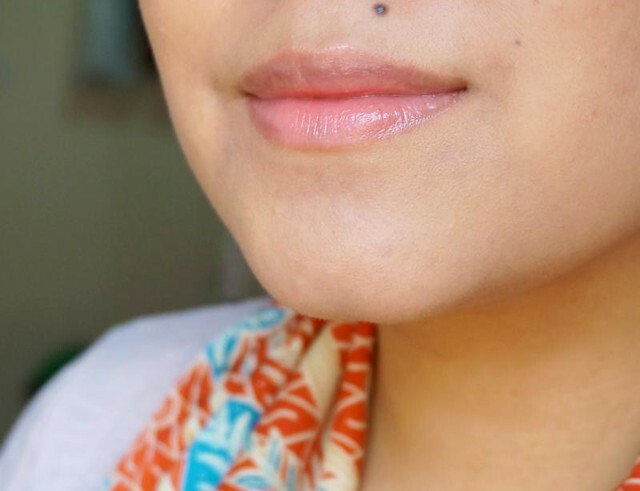 You can also get away with wearing lip balm underneath (it won't affect the texture, that is). It doesn't settle on lines; instead, my lips look plumper and bigger. Each gloss is fruit-themed, and has a scent to match the fruit in question (more or less). It's lovely and not at all offensive. One even smells like crackle candy! 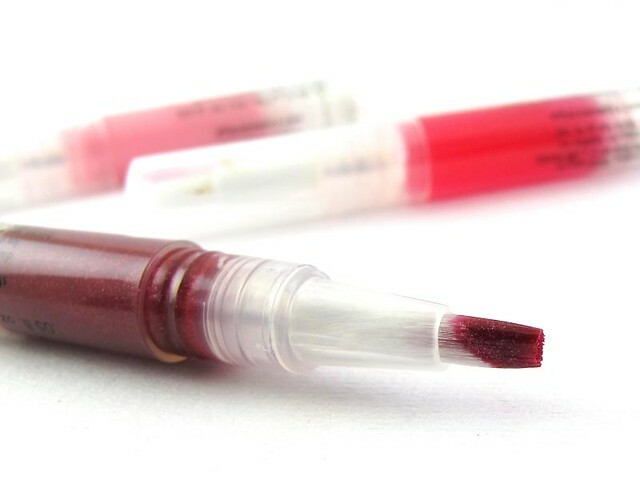 The click-type packaging is the best for lip gloss since the product is completely un-contaminated until you use it. Great deal since I got it as a set. In any case, Stila products are quite affordable here in the Philippines. I'm not sure about the exact price but I think an individual gloss is just around the P500 - P600 range. Melon is a gorgeous, well, melon shade! It's not really pink nor coral which is how a shade like this usually goes. I don't think I have a true melon lip color yet! I love it! This has pretty good coverage. Persimmon is a classy, slighty muted red. As you can see, it has full coverage on my lips. Another great color. Cranberry is an even muter, browner version of Persimmon. It's leaning towards oxblood red, I think, but not that dark. Strawberry Cream is a sheer creamy pink. 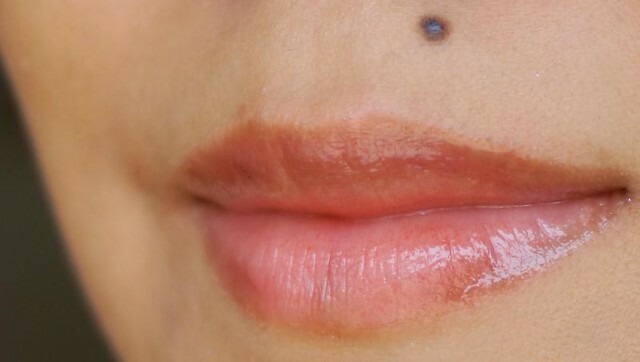 I would prefer to wear this as a lipstick topper, since it barely shows up on my lips. Wildberry is my least favorite out of the shades here. It's streaky and sheer. Dazzleberry looks red here, but in person it's more of a reddish fuchsia. It has these pretty violet sparkles that makes it more interesting up close. The sparkles don't show up from afar though! This gloss can feel thick and slightly sticky on the lips. It doesn't bother me all that much, actually. 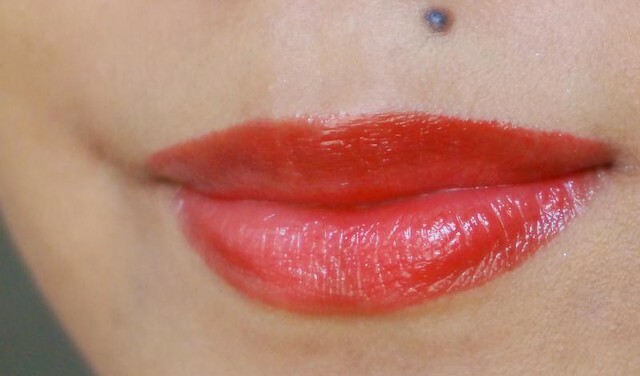 However, if you don't like thick lip products, then this won't cut it for you. Staying power is average for a gloss at 3 hours, 4 hours tops. 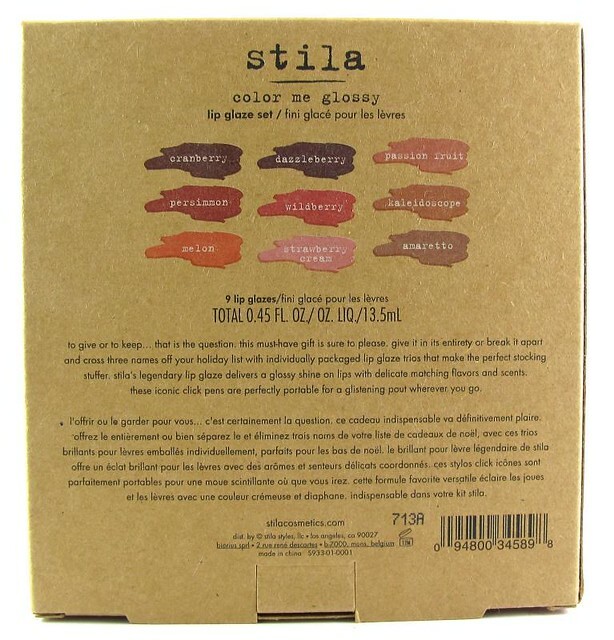 I recommend the Stila Lip Glaze to girls who like the jelly, ultra-glossy finish. 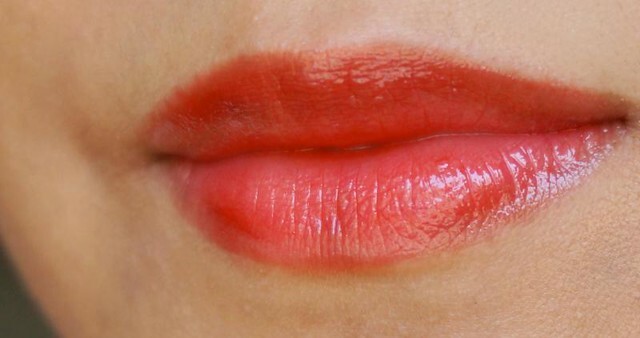 It's more forgiving on flaky lips, plus it's not too drying as it is. If you don't like kinda thick lip products though, this isn't for you. I am not bothered by it but just putting it out there! In any case, try to get this limited edition set if you like a good deal. I'm surprised by how much I like this gloss. 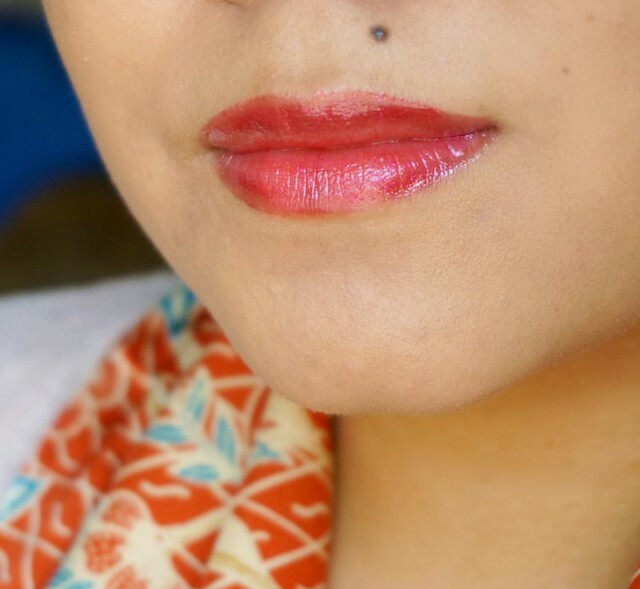 I prefer lipstick hybrids, but there's something to be said about nice-smelling traditional lip gloss like this. ^_^ I love Melon, Persimmon, Dazzleberry, and Cranberry A LOT! They're fab summer colors. ;) I will definitely be using them as often as I can. 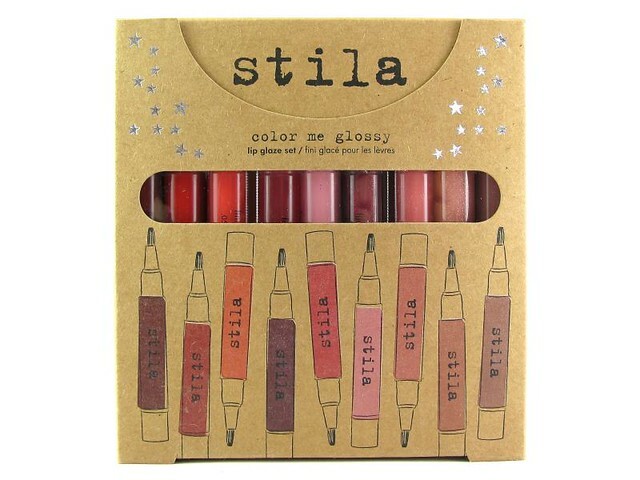 What do you think of Stila Lip Glosses? You can find Stila in Rustan's, btw. 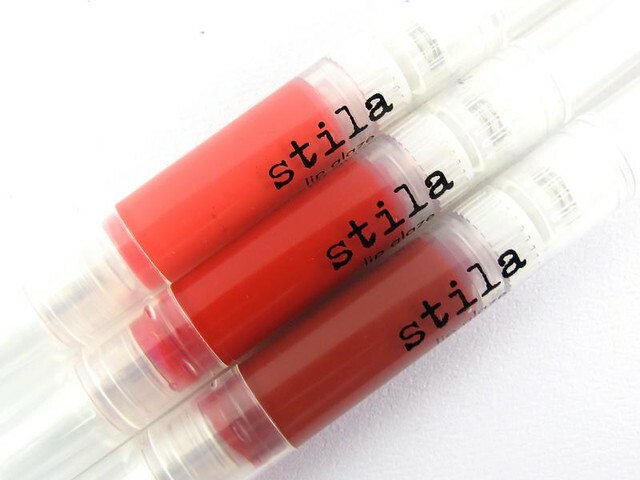 Read all of the featured products during Lip Gloss Week. Enjoy!